Thekkady in Kerala is a treasure trove of greenery and wilderness. With pristine waters of Periyar Lake and dense stretches of forest, Thekkady is nothing short of mesmerizing. Not only do you witness breath-taking landscapes and scenery, but you also get to explore the wilderness and spot some rare and exotic species of flora and fauna. Thekkady is renowned as the abode of Elephants and it is also home to numerous spice and tea plantations. Bird-watching, wildlife photography, and boating are just some of the many exciting activities you can enjoy here. 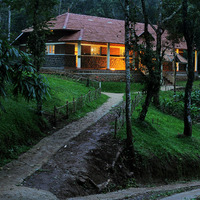 Visit Thekkady with friends and loved ones, or on a solo trip, for an unforgettable experience. Whether you visit Thekkady as a lone explorer or you are on a family trip, you are sure to find quality accommodation as per your needs. 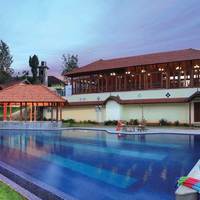 Due to the large number of spice plantations located in this region, the most popular choices of lodging in Thekkady tend to be at plantation resorts or clubs. 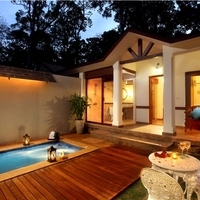 Here you can get the authentic experience of living on a plantation, in the very lap of nature. 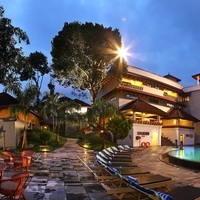 At the same time, you can be sure of a relaxing stay for your entire family with different facilities like swimming pools, spas, children's activities, and so on. If you are out on an adventure trip by yourself or with friends you may be more inclined to rough it out in the wilderness or to simply use your accommodation as a launch-pad and sleeping place. 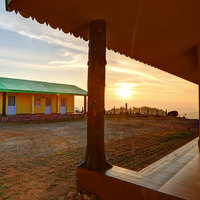 You can avail of homestays in local villas or cottages close to the forest. 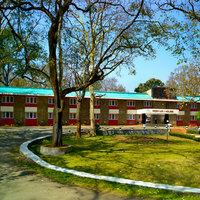 In Thekkady, the city center and Kumily are among the most favorable locales for hotels and lodgings. Book your stay in advance using Cleartrip's pay@hotel feature and make your payments at the time of check-in. So hurry, and avail of our exciting deals. 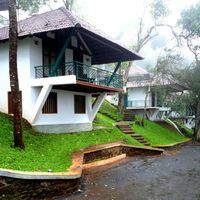 Book your stay in Thekkady with Cleartrip today! Suggest us few good hotels in Thekkady that provide wifi. 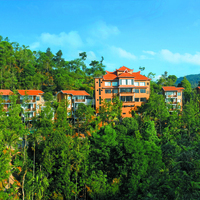 These days Wi-Fi is part of basic facility that most hotels in Thekkady offer. 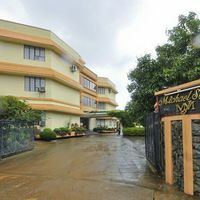 These budget hotels in city offer free Wi-Fi service WindHaven Resort, Vedanta Wake Up - Kumily Town Center, and Bougainvilla Homestay And Ayurveda Spa. 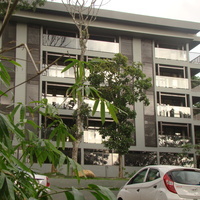 Could you suggest us few hotels in Thekkady that has free parking facility? 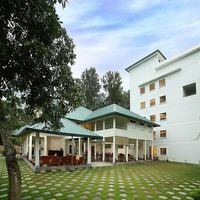 There are few hotels in Thekkady that provides free parking facility Paradisa Plantation Retreat, Hotel Blooming Paradise, and Bijans Nature Resort. 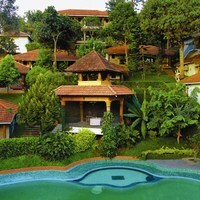 Can you suggest us hotels in Thekkady that offers rooms under Rs. 1700/-? 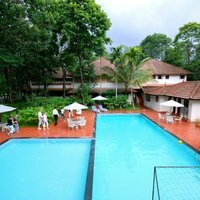 There are many hotels in Thekkady that offers hotels under Rs. 1700/-. 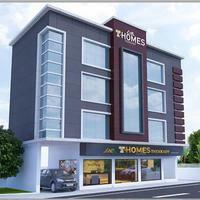 For best options you can check Summit Hampton Hotel, WindHaven Resort, and Thekkady Homestay under 1700/-. Can you suggest me hotels that have pay@hotel options in Thekkady? 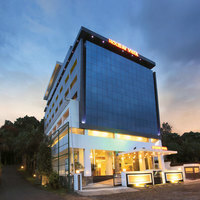 Most hotels in Thekkady prefer that you pay some advance to book a room. However, there are some hotels that give you an option to pay@hotel like Wild Corridor Resort and Spa by Apodis, Abad Green Forest, and WindHaven Resort. 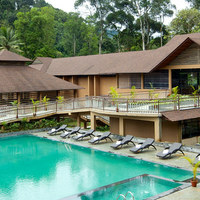 Please suggest me 5 star hotels in Thekkady. 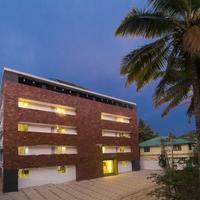 There are a lot of options for comfortable stay in Thekkady. 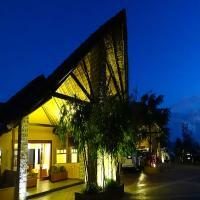 Check this hotels for comfortable stay Springdale Heritage. 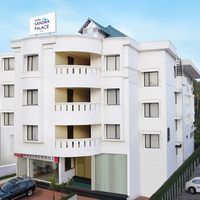 Can you suggest few hotels with good front desk facility in Thekkady? Yes, there are a lot of hotels in Thekkady that has good front desk service available. 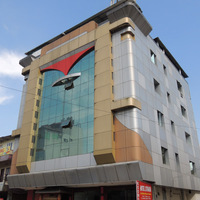 Check this hotels Springdale Heritage, Poetree Sarovar Portico, and The Mountain Courtyard.